Eye Caring LED Touch Desk Lamp With USB Port, 5 Lighting Modes, 5 Level Brightness. MORE LIGHT FOR THE BUCK: LED energy efficiency uses up to 75% less electricity than conventional light bulbs. 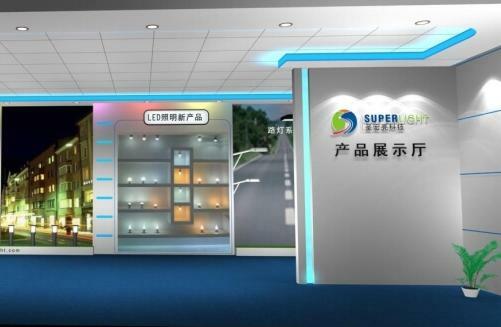 Superlight Technology Co., Ltd., which was established in Shenzhen city in 2003, is a pioneer of LED light in china. 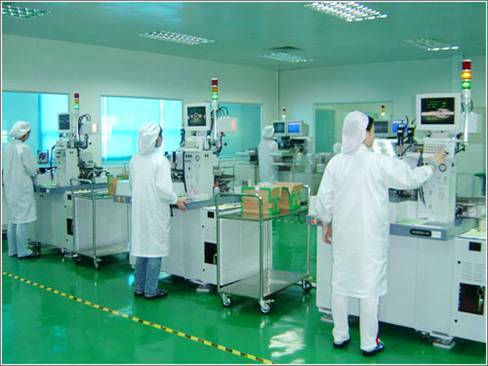 As a strategic partner of world famous LED chip manufacturers, Superlight is a high-tech enterprise. We consist of researching. producing and marketing, including all kinds of LED Lighting and Project Design & Construction. Superlight is one of the lamp manufacturers that are able to provide the most beautiful decorative & energy-saving LED light. 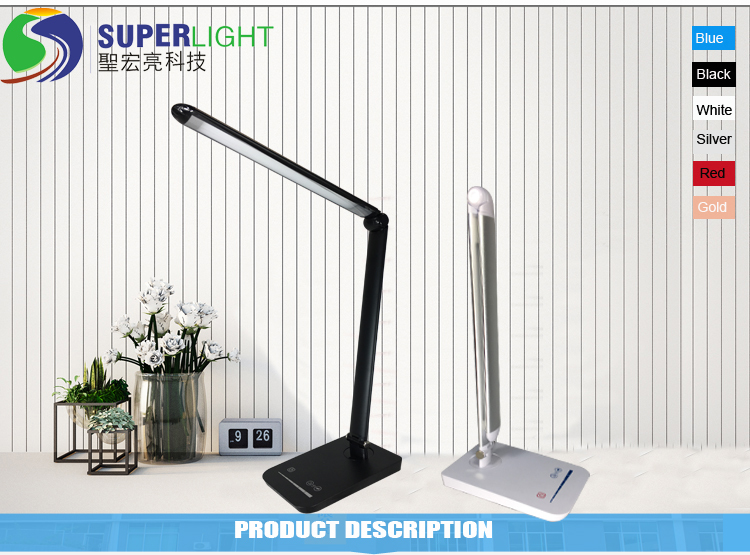 Our products include: LED desk lamps, LED Bulb Light, LED Spot Light, LED Canister Light, LED Ceiling Light, LED Tube Light, Solar LED Light, LED Fluorescent, Writing Board, LED Light Bar, Indoor & Outdoor LED Light. We have got the certificates of CE, TUV, FCC and UL/CUL. Meanwhile, all the products have past RoHS. 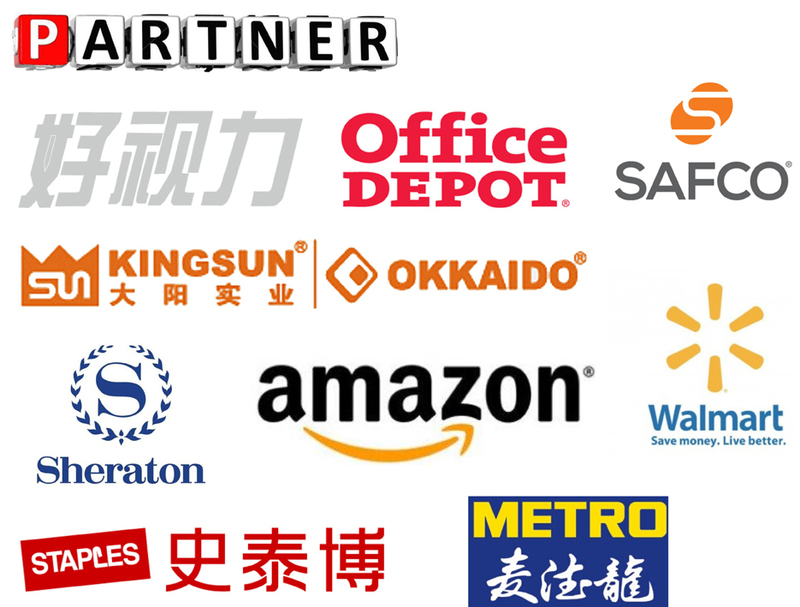 Our customers are all over the world, such as Taiwan, Mainland China, USA, England, France, Japan, South Korea etc. Nowadays, Superlight has become an enterprise covering more than 25,000 Square meters in area and having 500 employees. With years of consistent efforts, Superlight has got many certificates, such as ISO-9001 (2000 version), QC0800000:2005 and ISO/TS16949:2009. 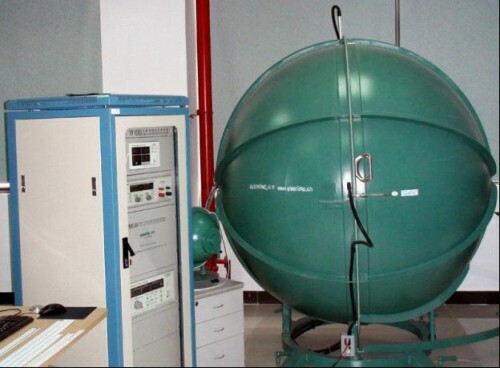 Meanwhile, we have established perfect QC system as well as strong system for technical innovation, and owned sophisticated testing equipments on the basic of nearly 10-years experience and consistent investment in this line. 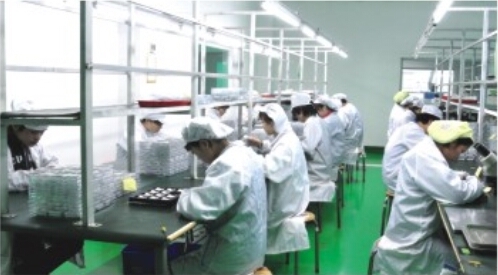 We provide excellent after-sell service and make effective guarantees of our products` stability and reliability, which is the motivation for the development of our company. Today, about one fifth of the electricity is used in lighting in the world. The lack of energy and environmental protection will be the biggest crisis for human. Superlight is committed to researching and innovating a series of green and energy-saving LED products. The new century brings new challenges and opportunities. Superlight has entered a new period in technology research, production adjustment, marketing and Other areas. [Credit, Innovation, High-efficiency, Scientific management, Customer Satisfaction" is our service principle. Superlight makes super life. Let`s work and share the success together! Company Name: Shenzhen Superlight Technology Co., Ltd.